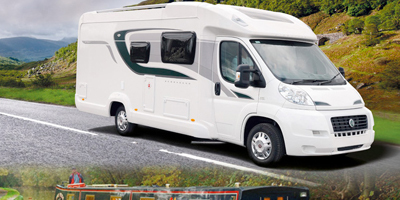 We’ve recently added Motorhome and Marine Insurance to our group of products. We offer some of the most competitive insurance policies with an excellent range of cover options for both products. Vehicles covered up to £60,000 in value. FREE £3500 cover for camping equipment. Mileage usage up to 10,000 miles per year. 180 days comprehensive EU driving use included as standard. Optional cover on New for Old and Legal. For more information on our Motorhome Cover, click here. 3 million liability limit as standard and £5million as standard for sailing dinghies/catamarans. £1 million liability limit for water skiing and towing of toys (up to 2 people toys only excludes bananas). Optional Cover includes Legal and Personal Accident among other things. For more information on our Marine Insurance Cover, click here. There will also be some new exciting product announcements that will be available very soon. The new products will help you keep your Park Home in good health and will guard against potential problems.